Tonight we reviewed the story of the twenty-fifth figure on the silsila: Ahmad al-Faruqi as-Sirhindi (q). 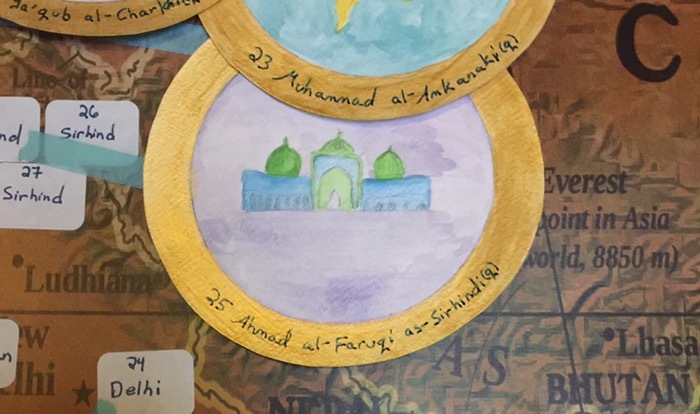 We learned that Shaykh Ahmad (q) could be many places at the same time. I asked my son where he would go if he could be many places at the same time. He said that he would be with both my parents and my husband’s parents and with our immediate family at the same time so that he would not miss anyone. We learned that Shaykh Ahmad (q) could disappear and then reappear wherever he liked. I asked my son what he would do if he had this power. He said he would dissapear at school and reappear at the park. For this chapter we chose a mosque in the style of Indian architecture. It occurs to me that another project on the various styles of mosques throughout the world might be another very nice use our map. 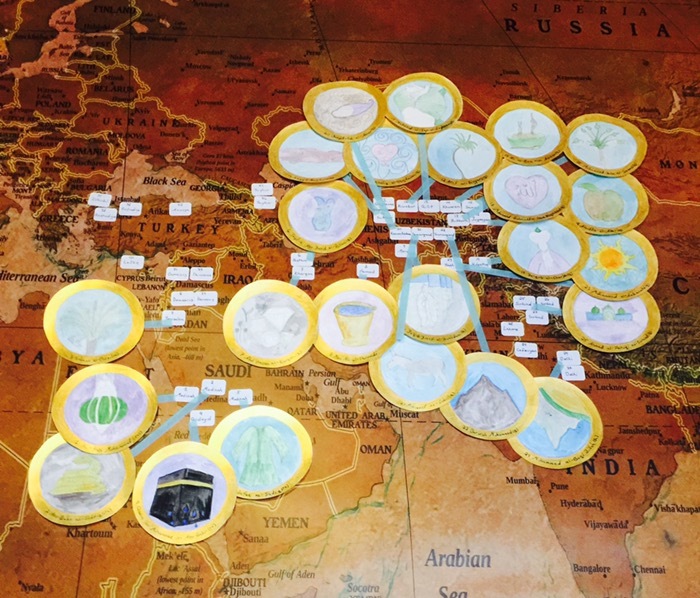 We are also planning to use the map for a project about the journey of Ibn Battuta. We are enjoying this approach to geography and would welcome more ideas and projects from anyone who would like to submit them to Sirajunmunira for publication.